ReachMD is the nation’s largest learning platform for physicians and other healthcare professionals. We are passionate about healthcare education and delivering the absolute best learning experience. Our ethos is to help our learners stay current, and that’s why we developed a broadcast network that delivers award-winning content any time, any place, and on any device. The ReachMD medical broadcast network is accessible anywhere you are − online, on mobile, and on air. ReachMD’s peer-to-peer content is the trusted source for certified education, editorial content, and industry-related features. Programs are consumed in short, easy-to-absorb formats. Registration is free on ReachMD, and registered users have an even greater experience through customized content pages, customized emails, and customized eNewsletters that focus on their specific interests. Everything you want to know about ReachMD − it’s all here. But if you still have a question, just give us a call or shoot over an email. We’ll do our best to get you the answers you need. What makes you the nation’s largest learning platform for physicians and other healthcare professionals? Our content is delivered through a broadcast network that includes websites, mobile apps, and internet radio. Programming is delivered both on demand and through 24/7 streaming on ReachMD, iHeartRadio, Tunein, and iTunes digital platforms. In addition, we have partnerships with more than 25 medical societies and medical centers who partner with ReachMD to bring our content to their members daily. ReachMD and our collective partners make us the largest learning platform nationwide. Is there a fee to register or to access ReachMD content? No, there is no fee to register and all content on ReachMD is complimentary. 1. Certified Education is produced by our CME partners (accredited providers). 2. Editorial Education is produced by the ReachMD medical team and by its educational partners such as medical societies and medical centers of excellence. 3. Industry Features are produced by healthcare industry interests (including pharmaceutical, biotech, device, and diagnostic interests). How is your content navigation organized? Clinical Practice segments content by specialty area, such as oncology, endocrinology, cardiology, and many more. Medical Interest showcases content related to the practice of medicine and general interest, such as the business of medicine, medical ethics, book club, health IT, and much more. 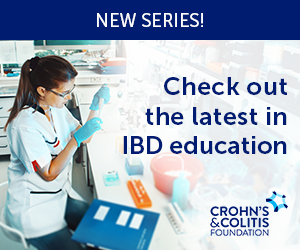 CME/CE provides content that is certified for credit by one of our many education partners, including The Johns Hopkins University School of Medicine, MD Anderson Cancer Center, Penn State Hershey College of Medicine, and many more. Industry Features showcases content that is industry-product focused, offering insights and clinical data from industry on key considerations and usage of products and devices. Meetings offers a resource of worldwide medical meetings to help our learners plan and manage their lifelong learning endeavors. Careers provides a robust search tool to explore career opportunities in partnership with Health Jobs Nationwide. That’s a key benefit of ReachMD -- we have media formats that appeal to all learning styles including audio, video, and print. You’re in control of the format that plays. Will I receive emails once I register? Immediately after registering, you will receive a welcome email from ReachMD that explains how to access your profile and the preferences center. You will receive one daily email from us with highlights of what is on air that day, as well as our featured program of the day. You can adjust which emails you receive from us by logging into your account and changing your options under the preferences center. How do I customize my experience? You can easily adjust which emails you receive and which content appears on landing pages that you view. Your profile helps us determine the specific information that displays in these areas. By logging in and completing your profile, we can better customize the experience for you. How does cme/ce work on ReachMD? Your CME/CE certificate is provided immediately upon completion, and we retain all your certificates on file. You can access your certificates under the credits tab within your profile page. How do I listen to ReachMD in my car? There are two ways to listen to ReachMD in your car. If your Internet-enabled car carries iHeartRadio and/or Tunein radio stations, you can listen to ReachMD on those two stations. Just search for ReachMD and you’ll find our 24/7 streaming content and podcasts. You can plug a smart phone into your car’s audio system using USB or an audio jack cable and listen using the ReachMD mobile app or the apps available from iHeartRadio and Tunein. What are some of the key features of ReachMD? Our favorite part of education is making it engaging. We designed features that ensure learners stay interested in the content and can easily customize their own experience. Playlists offer the unique ability for learners to add specific episodes to their own Playlists that they access anytime, anywhere from our Media Player. Each user’s Media Player contains his or her selected podcasts, whether used online or on mobile. Users also can add other people’s Playlists to their Media Player. For example, if they like a Playlist on women’s health offered by Omnia Education, they can add that to their Media Player. If they create their own Playlist on cardiology, for example, and want to share it with a colleague, they can easily do that. The Media Player allows for “follows me” content -- if you start on the web and pick up later on the mobile app, the Media Player remembers where you left off. Customized learning makes education relevant to our learners, and we encourage everyone to customize their experience. Registered users who provide basic information about profession, specialty, and areas of interest will experience a customized homepage, customized landing pages, and customized emails and eNewsletters. It’s the smartest way to experience relevant content on ReachMD. Who are your guests and hosts? ReachMD is a peer-to-peer platform. Our guests and hosts hail from the most prestigious centers of excellence across the world. Each guest and host is thoroughly vetted for medical knowledge, publication history, relevancy to the topic area, and experience with broadcast platforms. More than 3,000 guests and hosts have participated in ReachMD’s learning network. Where are you located, and how long have you been in business? ReachMD is located in Fort Washington, PA. It was founded in 2006 by medical professionals and broadcast experts and enjoyed five years of growth and expansion from its original Chicago location. In late 2011, US HealthConnect Inc. acquired ReachMD and relocated the offices and studios to Fort Washington. Much of the original ReachMD team remains today and we have greatly expanded our leadership, editorial, technology, customer service, and education teams. Where are the ReachMD recording and production studios? ReachMD has its primary studios in Fort Washington, PA. Worldwide, we have a network of studios we utilize to ensure top-quality audio and video recordings and productions. Our app is now available from the App Store or Google Play. Click here to learn more and download. We’ve been busy. Read all about it right here. Everyone has them, those pesky policies. But they help us protect your rights and privacy, so we encourage you to read them.